Google’s recent research has shown that an algorithm can easily remove watermarks automatically, making the images vulnerable to unauthorized use. In their latest paper, they present the solution that should help photographers and stock photo websites increase the watermark protection. The problem with watermarks is that they’re added consistently throughout the series of images, especially on stock websites. This continuity enables the algorithm to detect the pattern. It then easily discovers which part of the image is a watermark, and it removes it entirely to access a clean image. The access to an automated system like this can increase unauthorized use of photos. To prevent it, it’s necessary to add inconsistencies into the watermark pattern. The researchers looked at several types of inconsistencies that could disable the algorithm from removing watermarks: changing its position, changing opacity and random warping. Changing the position and opacity don’t give the desired results, and the algorithm can still remove it from the photo. However, random warping gives the best results. Very subtle wrapping can make the watermark more robust, and prevent the algorithm from removing it. With results like this, it’s only possible to remove the watermark manually. It’s a tedious job, and many people are likely to give up the image theft because of it. However, Google claims there’s no guarantee even this randomize scheme will be impossible to break in the future. But still, for now, it can be a helpful solution for all photographers and stock photo communities. I’ve found that the best watermarks are by stealth. When I publish an image on my website or to my social media accounts, I try to leave any logos intact. When they are published for stock all logos are removed. Infringers never realize that they’re publishing a stealth watermarked image and as soon as I see a little Nike swoosh or hint of a logo, I immediately know that its an illegitimate use – and Pixsy has been surprisingly effective in recovering quite a bit of money from infringement cases – to the point where I actually feel a little sorry for the infringers. Hi, Author of Visual Watermark software here. While Google didn’t publish a working app, I bet one will appear in the near future. 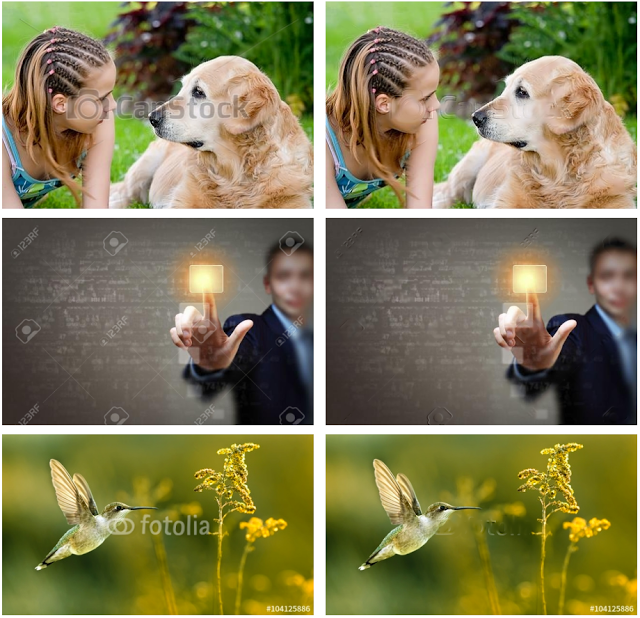 Visual Watermark applies randomized shifts to the watermark as recommended by the study. I also recommend applying an opaque, non-transparent watermarks since they provide better protection.